Picture this: Someone calls you to enquire concerning your product or service. They found you online through social media or maybe via Google. You didn’t spend a dime on advertising. Isn’t that great? Well, this is an example of Inbound Marketing. Now you are probably thinking, how can I use inbound marketing to grow my business? 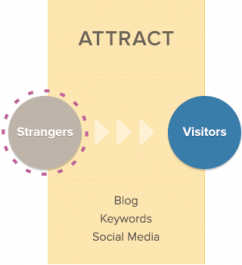 This article will give you an in-depth overview of what Inbound Marketing is. Once you are through, you will fully understand why it is the most effective form of marketing today. See you on the other side. Difference between Inbound and Outbound Marketing? As you can see from the above definitions, the main goal of inbound marketing is ensuring that your concentrate your marketing efforts through relevant contents so that potential customers will reach out to you themselves. 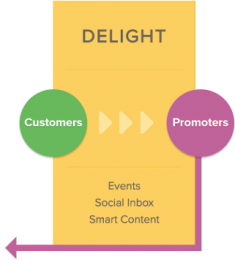 The secret to understanding the difference between inbound and outbound marketing is simple. The name! Inbound means to draw in while outbound basically means to push out. For a potential customers to reach to you to make enquires about your product or service, he/she has shown a level of interest in your business. They are pretty much qualified leads. They already know and trust your business because at one point on another, they have benefitted from you. It’s easier to get this kind of people to convert. However, if it’s the other way round where they see your ad or banner, you still have to go through the process of waiting for them to click the ad, nurturing them before finally getting them to convert. Mere thinking about it alone is stressful! We live in an age where customers are informed. Their buying patterns have changed. They are tired of see promotional ads all the time. It’s literally in their faces everywhere. Customers want to be educated! They don’t want to be sold to all the time. They are already searching online for information, researching to see what works best for them, comparing and contrasting prices and generally trying to make a buying decision. Your success in the market will be determined by how you position your business at each stage of their buying journey. The ‘Buyer’s Journey’ is the active research journey customers go through leading up to a purchase. The goal of inbound marketing is to strategically align your content to capture their interest at every step of their journey. The best part of inbound marketing is thats it’s almost completely free. We say ‘almost’ because you still have to invest time and money into ensuring your website is optimized to rank on search engines, content are well created, and social media is running effectively. 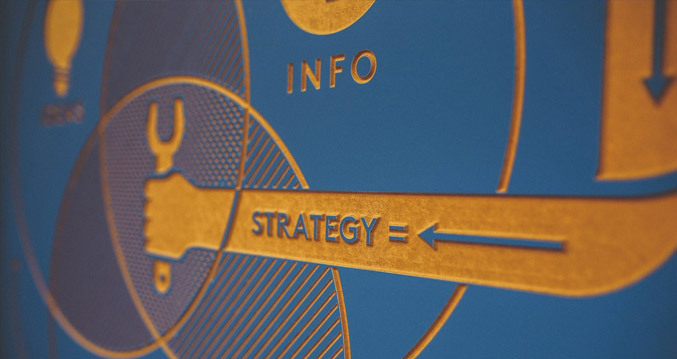 You need to understand the benefits of Inbound Marketing are long-term. Apart from a few changes, your content will continue to remain there and your website will continue to rank high on search engines! However with outbound marketing, you have to continue paying for ads to get less qualified leads, with the hope that they convert. The minute you stop paying, you no longer get leads or traffic to your website. and of course, your Website. Now you are getting the hang of inbound marketing right? Great! By aligning your content to match the interest of your potential customers, you will continue to attract, convert, close and delight them. This is called the Inbound Marketing Methodology. The ultimate goal of any business is to move people from being Strangers to Promoters. The goal in this stage is to attract qualified leads to your business. You want the right kind of people looking for the right kind of information. The best way to achieve this is through writing quality educational content, SEO-optimized blog posts, sharing content on social media, and so on. Once the right kind of customers visit your website looking for information, the goal at this stage is to convert them to leads. 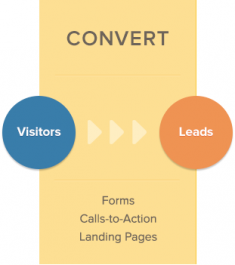 You can do this through forms, a well-converting landing page, compelling calls-to-action, live chats, etc. Understand however, that most people won’t willingly give up their valuable contact information just like that. The trick to getting it is by giving them something of value in return. This called a “Lead Magnet”. The lead magnet can be an e-book, whitepaper, checklist, guide, free trial, cheatsheet, webinar, and infographic and so on. You should also look into Conversion Rate Optimization at this stage. This basically means the continuous measurement of conversion and optimization of your website to get even more people to convert. 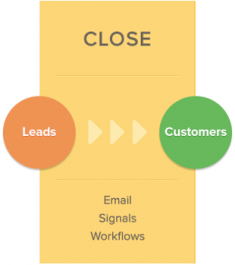 To be at the ‘Close’ stage, it means you have been able to attract and convert visitors from Strangers to Leads. Great job! Now, next is the crucial stage which is to close. Here, you want them to become paying customers. To effectively achieve this, you need to ‘nurture’ them (providing more content), selling the benefits of choosing your business. These can be done automatically through email automation. The idea here is that once customers are ready, they will take the required action themselves because they now trust you. If you’ve gotten this far, you deserve some accolades – not many people are able to get to this stage. You’ve been able to close sales but you need to keep the business running by making more sales, right? Useful Stat: It’s 25 times more expensive to acquire new customers than to retain old ones. Take a minute to think of all you’ve gone through to get to this stage. Now you see why you have to delight them? To do this, continue to send them promotions, relevant content, check up on them, provide after-sales support, excellent customer experience, an invitation to events, etc. They will happily become return buyers and spread the word about your business. B2B buyers are 57%–70% through their buying research before first contacting the seller…. Congratulations on making to the other side! If you have read this far, we hope you now understand why it is imperative to make Inbound Marketing your number one marketing strategy. And finally, you’ve seen some inbound marketing statistics to fully understand the importance of your mind. Inbound marketing requires time and effort and consistency, but you will enjoy continuous long-term benefits. If you need help or guidance in setting up your Inbound Marketing Strategy, simply Contact Us. Do you have questions or comments concerning the Inbound Marketing? Please feel free to leave a reply below. I used Aritic PinPoint , which has many awesome feature sorted for a successful email campaign.